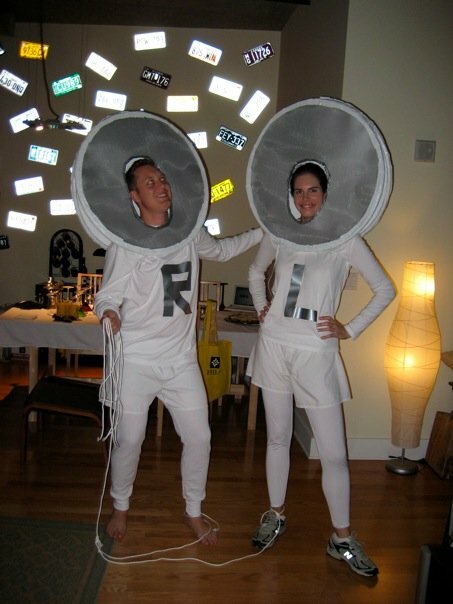 I thought I would kick off today’s post with one of my favorite couples costume we did back in the days we were living in Atlanta. How do you like our Ipod earbuds? It was so easy and comfy. And the best part was we got to play music. We went to an incredible house party Saturday night dressed like a flapper and her ummmmmmmm date. Actual trick or treating will be a little different because we decided to do a family costume. Little Miss is going to be Cinderella, and Yankee is going to dress up like Prince Charming. I will be the Fairy Godmother. Our neighborhood has a cute parade and the firetrucks make an appearance. There will be more candy than we know what to do with. We never finished our Easter candy. #wouldratherhaveacookie Be sure to check our Instagram stories to see how we look. 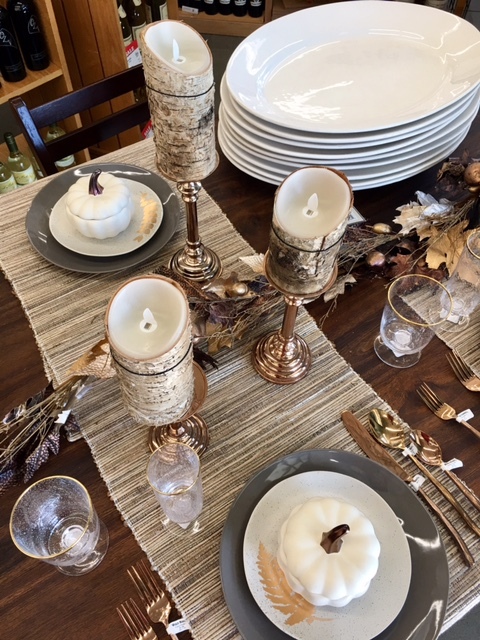 I was in World Market the other day, and they had a pretty Thanksgiving tablescape. I love the flameless birch candles. They were battery operated and added a nice soothing touch to the table. 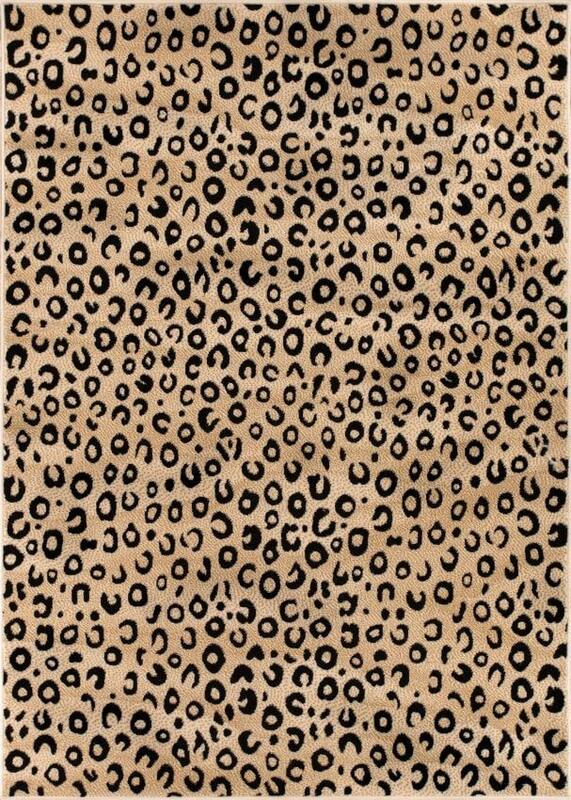 I have been eyeing this rug for my office. It is a great price and would be fun! I am in a little book club and the last two books we read were really good, and I wanted to share. We are always looking for suggestions so please share any you may have. 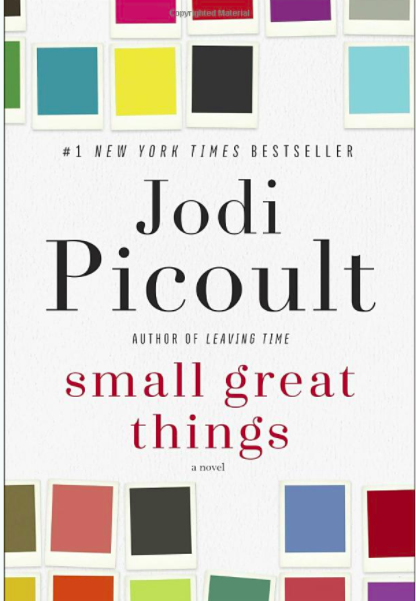 This was the first time I ever read a book by Jodi Picoult and it was really good and relevant to things that are happening around the country. 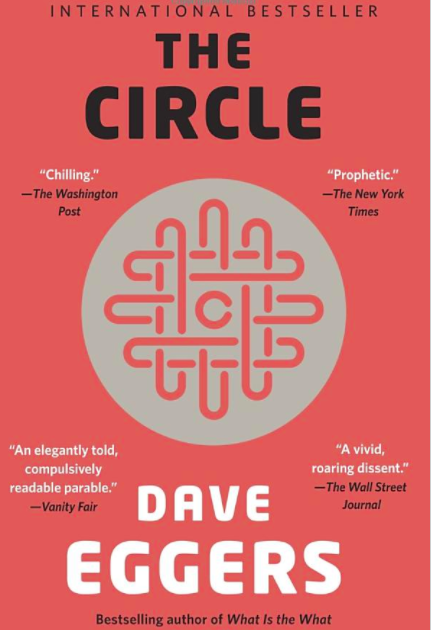 Wow “The Circle” was also good and relevant in terms of social media, and the direction we are going with being plugged in. While reading it, I decided it would be a great movie. Well, it turns out there is a movie, and it didn’t get great reviews. It does have Tom Hanks so I am adding it to my watch list. Yankee picked these up the other day, and they are awesome. It is a light switch that when you flip the switch a bright light comes on the light switch. 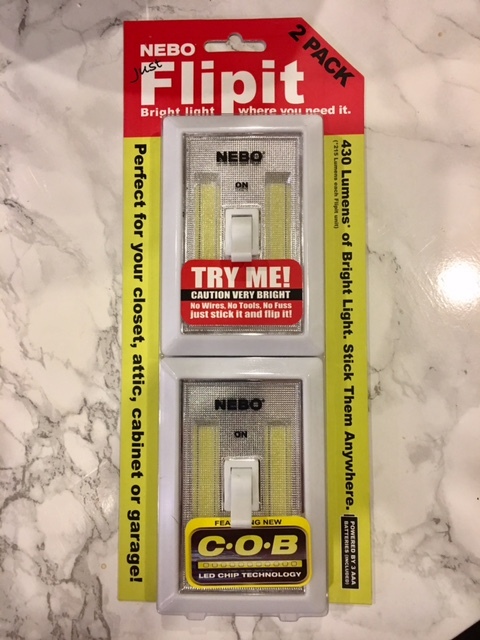 This is perfect for those small dark spaces that don’t have a lot of light or you cant get to an outlet. We put one in our pantry because our switch is in the way back and always covered by boxes or cans of food. The other one is in our crawl space. I think these flip it’s are so great and have really come in handy. 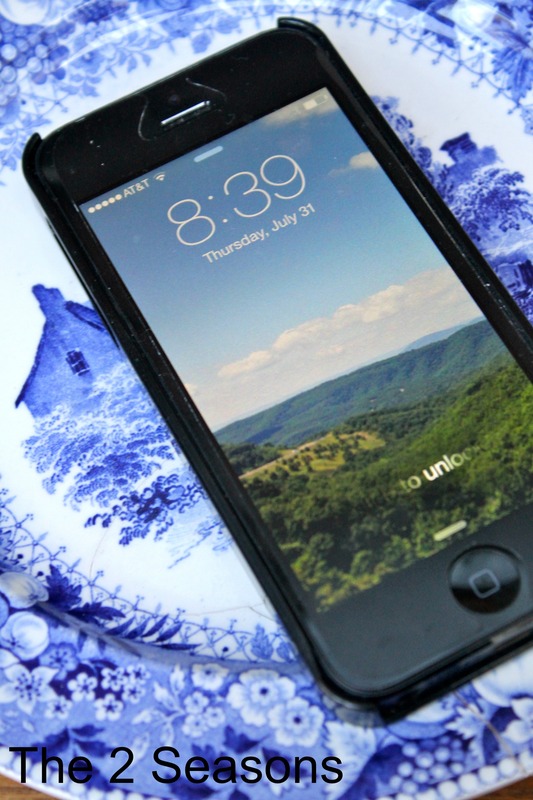 I have a dining room question for y’all. Our chairs are on their last leg, and we are looking to upgrade and eventually, Yankee wants to build a new table. This room gets used daily as we do eat our dinners in here, so it is not just a look at me room. Mom has offered up her old dining room chairs that look similar to the ones below. They are more traditional and formal. I wouldn’t paint them, but I would change the floral fabric she has on the chairs. What do you think? It would be mixing two styles which I like, but this one I am not sure about. Please let me know your thoughts. I love hearing everyone’s opinions. Little Miss is like me and loves everything and anything pumpkin. 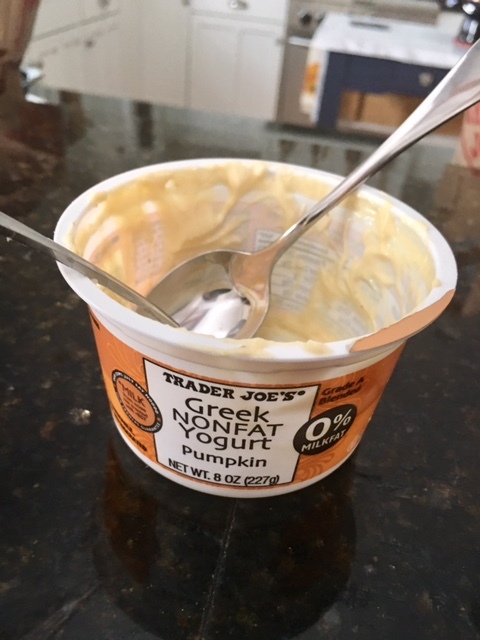 While at Trader Joe’s yesterday, I picked up this yogurt. We shared it, and oh my, it was so good. We even had to facetime my mom to share our love. I usually make my own yogurt, but this one was tasty! Sadly, one of our favorite companies is going out of business. Country Curtains, which is a family-owned business based in Stockbridge, MA is closing after many, many years. I had their bedspread and curtains when I was a little girl. They have been sponsors here on the blog, and we will miss them. Here is one of the posts we wrote for them. They have the best bed skirts we have ever used. Everything is now 20 to 40 percent off on their website. Well, that’s it for our Tuesday Thoughts. Thank you all for spending some of your valuable time with us. I am so sad that Country Curtains is going out of business. I have several of their curtains and love the quality. I had chairs that I inherited from an aunt similar to the cherry ones your mom has. We ended up selling them with our last house. I upholstered them in a modern fabric and added a seagrass rug. It seemed to tone down the formal-traditional feel. I love your light and sideboard! Katie, I’m thinking they might be too formal for us. 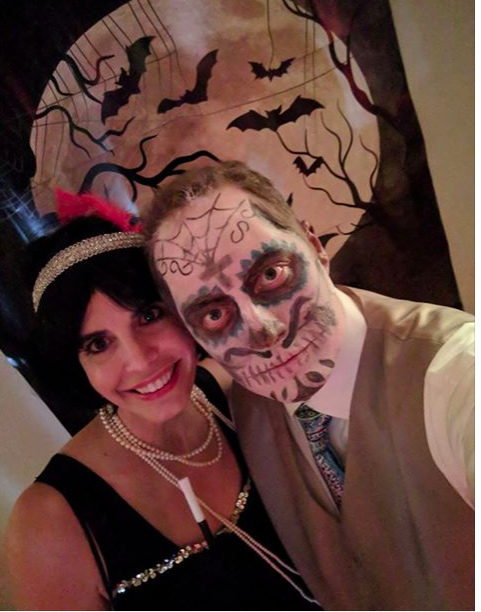 Love your costumes! I have a few thoughts about the chair situation. 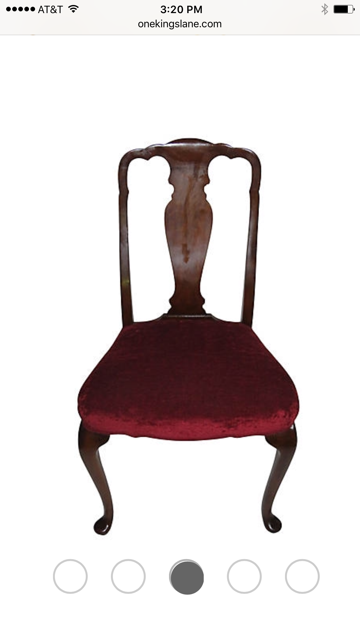 I also have Queen Anne chairs. They are comfy but they are wide. Will two of the chairs fit comfortably on the long sides of your table? Do you read Emily A Clark? 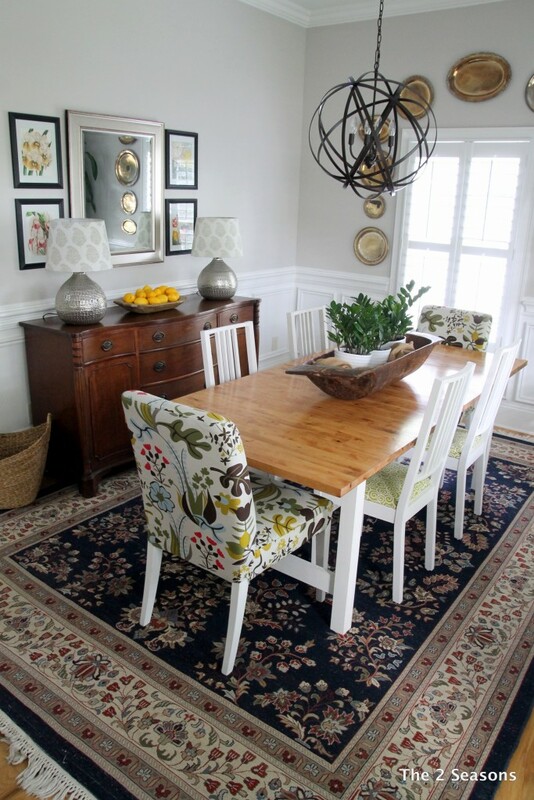 Just yesterday her post featured a variety of dining chair styles, all under $150! You may want to check those out. I’ll be at the parade tonight and will introduce myself if I see you! Enjoy the day!! I did see Emily’s post on Instagram but I need to sit down and read it. I thought it was perfect timing. Please say hi if you see us at the parade! I think the chairs would look great with a fun modern fabric on them. Something that picks up on your living room vibe. Joan, the photo we showed on the blog was a screen shot. We couldn’t find a photo of my mom’s chairs that really showed them off. Her chairs do have a modern fabric on them which we would change to fit in with our style. Thank you for your input. Not Country Curtains! I remember our wonderful trips to The Red Lion and Country Curtains. Let’s do a road trip! Beth, I loved that little shop, too. Donnamae, they might just be too big. I’ll have to check. I think your Mom’s chairs would be great with your dining table and dining room. I like to mix styles. But why not paint them ? (Unless Mom would rather you didn’t…). I am about to paint similar chairs that I have at a farmhouse style table in my kitchen eating area. 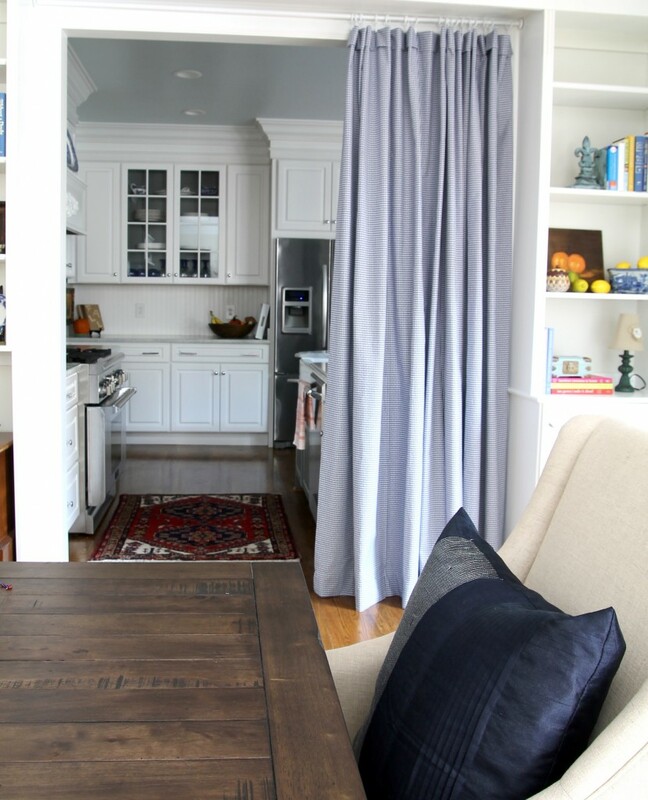 You don’t have to paint them white or black – what about a gray color with a lively fabric ? That was the deal if I take them I wouldn’t paint them. They are really too nice to paint.